Elite did a fantastic job on our roof and siding project!! Excellent to work with and would highly recommend!! We were referred to Elite Exteriors by an extended family member, for a small job pointed out on a home inspection. I worked directly with Ryan, and he treated the job as though it had the importance to them of a large dollar job. He was very responsive, informative and accommodating. He never gave me a feeling that my job was any less significant. Based on my experience, I would refer Elite Exteriors to others without hesitation. My CertainTeed siding had failed and I needed to have it replaced. After doing some research, I decided to replace it with Hardiplank siding. I realized that Hardiplank is an outstanding man-made material but the proper installation is critical. Then I learned that Elite Exteriors has the most trained and experienced installers in the area. When I called Elite Exteriors, I was put in contact with Ryan. He made it easy to arrange an appointment that would fit into my busy schedule, which was true again when I met with him to select the color. When we met, he explained what needed to be done and answered all of my questions. He pointed out that some of the trim material had not been prepared properly and what I should do to correct the problem. He was also able to provide addresses as references and samples of colors. The installation went quickly and smoothly. They cleaned up all of the extensive debris in a thorough and timely manner. Ryan followed up to discuss what they had done and answer any questions I had. He also looked over my CertainTeed claim prior to submission and recommended additional photos to provide with the claim. Now that the project is done, I am glad I chose to go with Elite Exteriors. Ryan and the team at Elite Exteriors have been great to work with!! I had siding damage from wind storms in March of 2016. I contacted my insurance agent, who shot down me filing a claim, leaving me confused and discouraged. Months later a friend told me to contact the insurance carrier directly, bypassing the agent to see if the damage was claim worthy. I did, however, I was told I had 1 year from the damage to act upon this, and have the home repaired. This was now November and we were entering the winter months. I was having difficulty finding a team that would help me no matter the weather conditions. Well Elite Exteriors took my call and their group worked in the SNOW!!! They understood my time constraints and made the repairs happen and completed them quickly! During this process I had no guidance from my insurance agent, and found out my claim was short the complete cost to cure the damage. Again, Elite Exteriors came to my rescue. They have allowed me to work out the balance through their direct, no-interest, 6-month payment plan. I cannot express how understanding, everyone at their office has been! I would recommend them over and over again…not to mention all the compliments I have gotten from neighbors and friends on the completed work! Seriously, THANKS GUYS! I retained Elite Exteriors LLC of New Berlin to re-roof my main home, re-roof my detached garage, rip-off the old wood siding on the garage and replace it with Hardie-Board siding, install new gutters, replace a door, and then most importantly, stabilize and reinforce the sagging, collapsing garage roof. For my home built in 1951, there were a lot of unknowns when they accepted the job, but what fun we had. Elite’s team of roofers, gutter guys, carpenters, and Hardie-Board siding experts excelled. They overcame a number of old-home “gotcha’s”, applying a thorough understanding of their craft, their products, flexibility, and a determination to get to the best possible outcome for me – the customer. My wife and I couldn’t have been more pleased. When they were done, it was like – “WOW!” Elite Exteriors is reliable, professional, cost competitive (that’s how they got the job in the first place), and a pleasure to work with at all levels of the organization. If you are considering doing work on your home, I highly recommend you talk to Elite Exteriors. Thumbs Up, guys. Thumbs Up. Work was so good I was motivated to write a review here on Facebook. Question: Would you use Elite Exteriors again for roofing and / or recommend them to family and friends? We invited a few roofing contractors to come to the house and bid the job for a complete new roof. The owner at Elite Exteriors responded personally and immediately to our inquiry. By “immediately,” I mean that day (by phone). The next day he was onsite at our home. 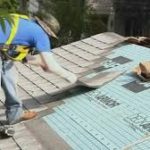 He went over all the details with us (Master Elite Contractor for GAF products), available warranties, estimates for start and end dates (the Full Monty). When he was at the house he estimated all the dimensions, but the next day he ordered, at his expense, an EagleView Report of the house. EagleView is a company that provides aerial photographs of property which can include peaks, valleys, square footage, etc. An EagleView Report is used a lot and saves roofers from having to crawl up on the roof with a tape measure, etc. and it is very accurate. Like a very close-up Google Earth but specialized for roofers and contractors. I’ll skip over all the details, but not only was Elite’s bid lower than the others, but they were more thorough in their descriptions of products and methods, and we believed was installing superior products. He ordered the EagleView Report on June 25 and we had a full quote three day later. On Wednesday June 29, he called to say he had a crew become available for the next week and they could start July 5, the Tuesday after the 4th of July. We all agreed. So, before I finish up, I need to address the roofing crew of 5-6 men. These guys were just plain fantastic, arriving at about 6:45 a.m. and worked until 7:45 p.m. the first day. They were so good that the first day we decided to provide them all pizza, soda, water, etc. for lunch. At the end of that Tuesday I tipped each of the five roofers $20 cash out of my pocket because they had worked so hard and steady. They were a pleasure to have working on our home. The second day they arrived about 7:15 a.m. and started right in. I asked the lead guy if they would like ribs for lunch, but he opted for turkey sandwiches on Italian bread. My wife and I went to the store and got all the stuff, and pickles, and tomatoes, chips, drinks and the 6 of them had a great lunch. They plowed through the day until about 7:30 p.m., at which time they had completely replaced our 3,000 square foot roof, including 5 Ridges (86′), 8 Hips (85′), 9 Valleys (98′), 13 Rakes (192′), drip edge… on and on. Again, each got $20 for their superior performance, except I tipped the lead guy a $50. A completed job on a very complicated roof done in two days! We were smiling to say the least. 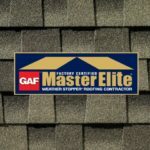 I am 65-years old and we bought the GAF 50-year warranty, so I am not planning on putting on another roof in my lifetime, but if I had to, I’d have Elite back to do it. We recently had our condo roof replaced and it was the best quality for the best price! Ryan was our main contact and the workers were very thorough and pressed on through the VERY hot weather! We were able to work out a payment plan that was not only affordable for us, but ensured that Elite would be paid promptly. I recommend them to anyone looking for remodeling! Just the best! We were referred to Elite Exteriors from a family member. We worked with Ryan and he never tried to push anything on us. We ended up replacing all of our windows, our siding, and our soffits / fascia / gutters. We also had a new window installed where there wasn’t one previously. The crew was fantastic. They kept the site as clean as possible, worked hard and are good people who know what they’re doing. We are thrilled with how everything turned out and have received so many compliments from our neighbors. Our neighbors across the street are now getting a quote from Elite Exteriors after seeing how our job turned out. We would highly recommend Elite Exteriors. Upon having our home inspected in preparation for its sale, it was discovered that we had some masonry issues on and around our chimney (some of which resulted from the chimney flashing not being done correctly by another contractor who had worked on it previously). Since time was of the essence (we only had a week after the inspection to get the repairs done), we were so grateful to David, Ryan and his team at Elite Exteriors for getting us on their schedule ASAP, getting the work completed quickly, and forwarding the necessary paperwork to us and our realtor so we could move forward with home closing as scheduled. When you combine the stress of selling a home with a poor experience with another contractor in the past, and add in the additional pressure of a time commitment in order to keep everything on track, we were anxious to have the work done by a reputable and responsive company. Elite Exteriors was the perfect solution to our time sensitive (and critical) problem. I wouldn’t hesitate to recommend them to anyone else who needs work done on their home. We are so grateful that friends of ours recommended Dave and his crew. Our 1980’s home was in great need of updating. The team showed up on time and completed the work in a very professional manner! Your search is over. Pick up the phone and call Elite today. Elite Exteriors recently replaced our roof and gutters on our home. Ryan was quick to respond to my calls and his father, Dave, came out to give us our quote within 2 days of my initial phone call. We were impressed with Dave’s knowledge. He priced the project very reasonably. When choosing Elite Exteriors, we knew we would be working with a company that had a family tradition of excellence. We also were impressed with the high-quality product itself and the amazing warranty attached to the roof. Many of the other companies we had called for quotes did not offer the same high-quality product or warranty. Our roof was put on in one day with little to no mess left behind. Our gutters were put on two days later. After the gutters were installed, we realized we did not like the color chosen. We immediately called Ryan and he came out that afternoon to check on the color. He then helped us pick the perfect color, re-ordered the gutters, and installed the new color within a week at a tiny fraction of the original price. He was very helpful with the situation and wanted to make sure it was corrected to our liking! We couldn’t be happier with the finished product. My husband and I highly recommend Elite Exteriors. It took me 5 years to find a company that I felt would be up to the task of replacing my roof on my Brewers Hill Victorian home that was 120 years old. Even though it was a death wish house to replace a roof on, I knew that they would have the expertise to do the job safely and correct. Seeing these guys in action only confirmed that they are professional roofers. Now that the job is done, I’m glad I went with them over others. They were easy to work with, and always followed through with phone calls and emails. The work was done correct and on schedule. A+ company to do roofing, gutters, and carpentry. There was good progress every day and they cleaned up nicely every day. They were always courteous and paid attention to what I said. The new siding looks so good several of my neighbors have stopped by to comment on how good it looks. Elite Exteriors helped us with several projects over the past 1.5 years. Each time they did a fantastic job at a competitive price. I’ve listed some details around each project below. Insulation: We contacted Elite Exteriors regarding ice damming issues on our roof. We only owned the house for 6 months at the time, but the neighbors informed us that the ice issues were not only severe with 4” icicles to hang from the roof, but had been occurring for well over 20 years. Elite Exteriors did a thorough assessment of the roof and attic and determined the cause was due to deteriorated and inadequate attic insulation. The work was scheduled and executed quickly. Their work has eliminated our ice damming issues and the entire house is much warmer. Gutters: The rain gutter system on our house was leaking and usually could not handle heavy rain storms causing water to run over the edges of the gutters. We contacted Elite Exteriors who first assessed the old gutter system and determined it was inadequate to handle the unique lines and size of the roof on our 90-year old bungalow. Instead of merely replacing the system we had with a new one, the increased the gutter and downspout sizes. The rain gutter system they installed not only looks and performs fantastic. Siding: We have a 90-year old bungalow that was last sided in 1971 over the original wood lap siding. The siding was in very bad shape so we contacted Elite Exteriors for a bid. We were very impressed with the care they took during the bidding process and we selected them right away. They explained all of our options from material to color. We chose HardiePlank as the material and we could not be happier with the results. Elite Exteriors took great care to respect the age of the home by suggesting a 4” siding exposure and doing a fantastic job of framing out the houses many arched windows. The craftsmanship, attention to detail and professionalism of the crew was top notch. Our house is now a standout on our block and we get lots of compliments from passers-by. We will definitely work with Elite Exteriors again. Storm Windows and Doors: While we loved the original wood storm windows on our 90 year old house, they were in really bad shape and performed poorly. We contacted Elite Exteriors about replacing the storm windows. They measured, ordered and installed over 40 storm windows on our house. Almost half of the windows had to be custom made. Additionally, Elite exteriors installed three aluminum storm doors. While we thought the project was quite complex, Elite Exteriors made it look easy and we could not be happier with the final result. We loved how our house and garage turned out!! It changed the whole look of our property. Ryan was informative and thorough, and Roberto and his crew were also great to work with on our project. We would definitely use them again. It was awesome working with the Elite Exteriors team during our house buying experience. To be honest, we were referred to another company first, of whom we tried to reach numerous times. Since they failed to call us back, we called Elite and wish we never dealt with anyone else!! Ryan was scheduled out there same day, no questions asked. He provided us not 1 but 2 awesome quotes that ultimately led to a price reduction in our home. I highly recommend Ryan and the team at Elite! Elite Exteriors did a fast, but very efficient roof installation. From beginning to end, the work was orderly and flawless. The work was done in less than three days and clean up was immaculate. The roofers, Ryan, and Linda were attentive and excellent to work and communicate with. Very impressed with this business. Elite did an amazing job on our house. We are in the process of a kitchen remodel which began with blocking off a door and a window. Then they converted a window into a patio door, replaced the door between our kitchen and garage, replaced a screen door, and replaced a window. Finally, they replaced our old siding (some wood, some vinyl) with James Hardie siding, and put in new soffits, fascia, and gutters. Finally, we asked them to fix our leaking chimney, and they explained that it was actually the roof that was leaking due to the incline. So, we also got a new, rubber roof. All was done well, promptly, and professionally! An amazingly easy experience!! Putting on a roof is never any fun but this team was quick and very professional. I couldn’t believe how fast and efficient they were. We received an estimate that was the most competitive and had the roof on in one week!! Zack was our contact and he is very professional and guided us through the repair plans to the color choice. Highly recommended. I called Elite Exteriors. Ryan arrived the next day to look at the roof’s needs. He provided me with a quote and worked with me through the whole project. All who worked with me were respectful, professional, patient and helpful at all times. Elite provided references of other homes they re-roofed. Just another reason I decided to go with them. Thank you for such a great job. The roof looks great! I highly recommend Elite Exteriors! Ryan replaced my front door. From start to finish, it was a very professional job. I highly recommend Elite Exteriors and will use them again as other repairs and updates are required. Replaced my roof, siding (James Hardie), fascia/soffits, and gutters. Elite Exteriors did an amazing job, and we are extremely pleased with the results! This is a professional, competitive, and honest company, which I would not hesitate to recommend to anyone looking for quality home exterior products and installation! Elite Exteriors is a top-notch family owned business. The job they did on our roof shows the pride they have in the work they do. Ryan was prompt, easy to work with, and helped me to understand the options I had. No pressure and worked on my timeline. The work was done in a day and they cleaned up after themselves. Very pleased with both cost and quality! Elite recently re-faced the exterior of our home with new siding, soffits and fascia. They did a fabulous job, everyone we met with was courteous and professional. I would highly recommend them and will use them again for any future needs we may have. We had a few shingles blow off in the strong winds we’ve had this spring. Elite came out quickly and repaired our roof. The price was reasonable and the work was done well. We will use them again. I am so thrilled with my home. I had 3 different colors of paint around my aluminum storms, my dormer was in horrible shape and on the roof and difficult to get at. I needed 23 windows aluminum-clad and the dormer repaired and new gutters and downspouts installed. What a great company. What great crews! From Ryan to the office staff to the gutter installers to the siding crew – everyone of them professional, polite, responsive and helpful. Always loved my home but now I super love it. No more window painting, ugly dormer or clogged gutters (since they installed leaf guards also). Thank you all at Elite!! Wonderful business for roofs, siding, and doors. Easy to deal with, very responsive, professional, and their sub-contractors are hard-working and very skilled. New roof and gutters. Great experience all around and I will be certainly calling for future projects! Highly recommend. Ryan was very quick to respond and had great customer service! The job went very smooth. On the cedar deck Elite Exteriors stained all the deck boards in their shop prior to installing them. It was great…actually fantastic that they could do the staining work and the carpentry work. That way I didn’t have to deal with 2 contractors. On our main house we did a maintenance free AZEK deck and railing. The material was more expensive, but it is maintenance free. Elite Exteriors did a great job installing both decks. They did exactly what they said they were going to do and the amount we paid was exactly what they quoted the job at. It was just easy.. I wish there was an A+ rating. I would surely rate them that, but since A is the highest, that is what I rate them. I called and they were out the next day and the repairs to my siding was done! Very professional and responsive to my concerns and questions. Would use them again in a second! 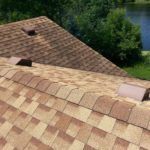 Out of several companies I contacted, Scott was the only one that was willing to do a replacement on a cedar shake roof. He was responsive in coming out and giving an estimate and once I gave the green light to proceed he got the work done quickly. This was no small feat since this is an outdoor project in the middle of winter. Quality was good as well and to date no leaks seen. I would hire this company again. The guys were exceptionally courteous and communicated with me along the way. Work was high quality and as discussed. I was even invited to observe when the problem was identified and after it was fixed. My input on the color of the flashing was welcome. It is never fun to need a repair, but I look forward to working the Elite on other projects in the future. It went well no service was done yet just an estimate of cost. Elite Exteriors replaced 22 windows in my home. The project went very smoothly. I liked the fact that Elite Exteriors gave it to me straight about the windows. They did not push one over the other. They do vinyl and fiberglass windows. They do wood interior and vinyl interior. They do it all. So their salesperson (Dave) just presented the goods and bads about each type of window and let me decide what was best for our home. We ended up choosing a Fiberglass frame window with a real wood interior. They were more expensive than vinyl, but also better quality. The install was done in 2 days. The staining took another 2 days. Elite did a bunch of other work for us as well. It was nice to schedule everything with the same company. It made scheduling a lot easier for us. They had all the work completed in one week. It looks like a new house. Elite Exteriors with Scott and Dave along with their team were wonderful to work with on our exterior replacement (siding, fascia and soffit, gutters) project along with window replacement, doors and a sunroom renovation. We purchased a new home in July knowing that we needed to undertake a major project. We ended up requiring some unanticipated additional work that these exterior projects tend to expose. Fortunately, Scott and his team were partners on everything start to finish. They put in the extra work required to ensure that everything was not just completed, but more importantly done well. Elite Exteriors replaced our old double hung windows with new fiberglass replacement windows. The work was done on time and for the prices quoted to us. There were no hidden costs or delays. The service was very professional on all levels. The new windows are spectacular and the house looks great. They did a great job cleaning up after they were done as well. Could not be happier with our new windows. The entire process of removing our old patio door and installing the new one went very smooth. They arrived on time and the quality of work is second to none. The new patio door makes the house look so much better. I would highly recommend this company to any looking for a new patio door. Fairly smooth. Although on one roof it took longer because one of the crews did not show up . So the owner had to find another crew. But the work seems to be very high quality. And they were the best price with the very best warranty. The work was meticulous and as discussed. I was really impressed that I was asked to come see the repair at certain phases, confirming what was wrong and that it was fixed. It is never fun to need a repair, but I look forward to working with Elite in the future.